Get the day started with a Morning Warm-Up! 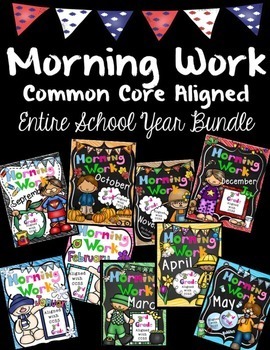 The Morning Work Bundle includes the entire school year daily morning work at a discounted price. 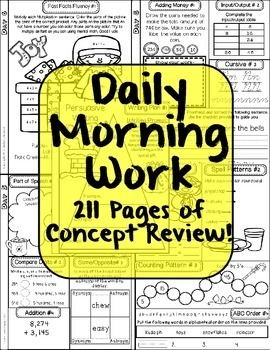 Morning Work comes with a daily concept review for every day of the month. 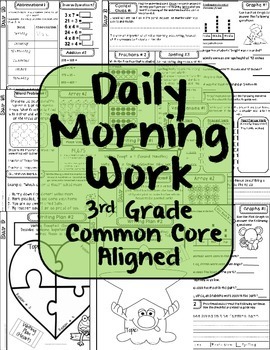 Morning Work gives the students a chance to review concepts that they have already learned and introduces other concepts that will come in the future. 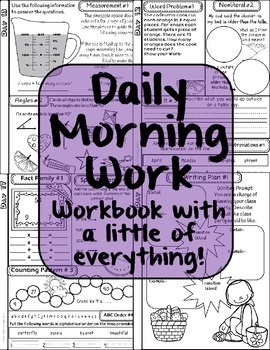 This morning work is designed for 3rd grade; however, 2nd and 4th grade could also benefit from this product as well. Comprehension Strategies -Problem/Solution, Cause and Effect, Fact and Opinion. Please comment and rate. Thank you!